Vivio joins Nove, Tia, Subaru, and the rest of Nove’s reformed sisters to meet Einhart. 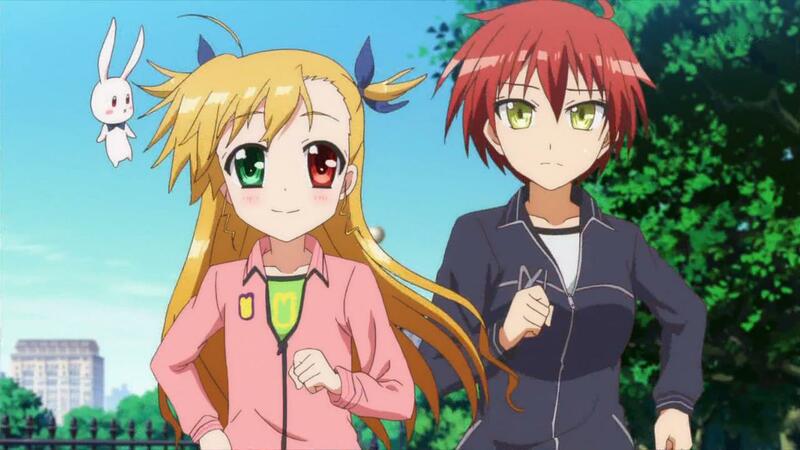 Nove takes them to the gym, where the excited Vivio is ready to spar with Einhart. 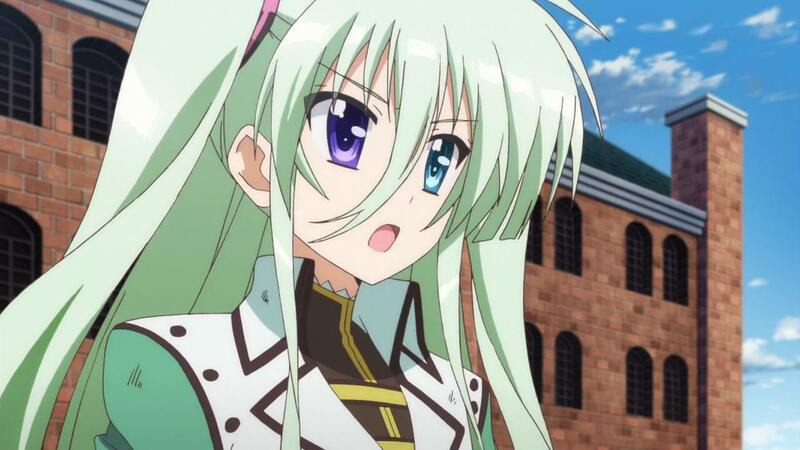 Neither are allowed to use magic or the like, and though Vivio shows she’s a good fighter, she’s no match for Einhart. 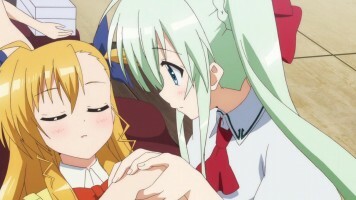 Einhart is disappointed, which Vivio picks up on and apologizes for being weak. Since Vivio is ready to try again, Nove suggests a rematch in a week, which Einhart reluctantly agrees to. Vivio is initially depressed about her sparring match, but at dinner, she decides being sad will get her no where. 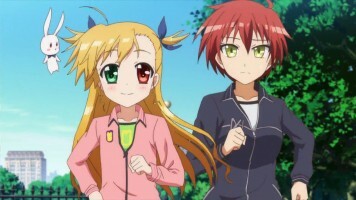 Einhart continues to have memory dreams from the distant past while Vivio trains hard. For their rematch, Nove has received permission to uses training grounds, complete with buildings. 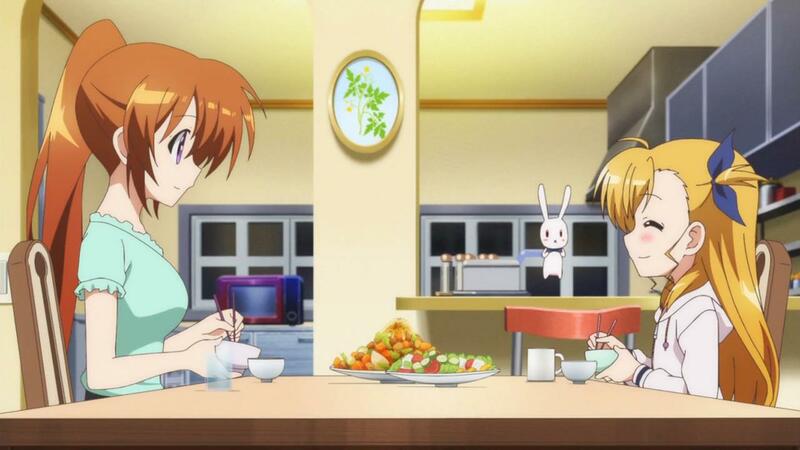 This time, Vivio transforms to her teenage form, so Einhart does the same. The two are still forbidden to use magic, but to Einhart’s surprise, Vivio’s fighting stance and skills are very good. 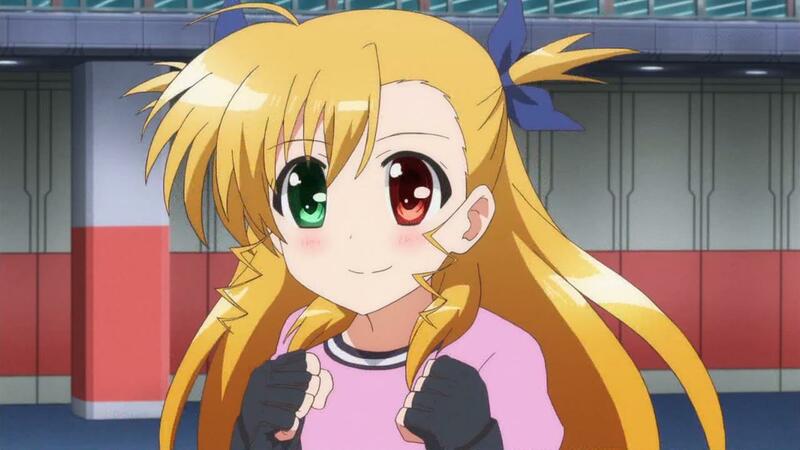 However, Vivio still isn’t good enough as Einhart uses a finishing move that knocks Vivio out. 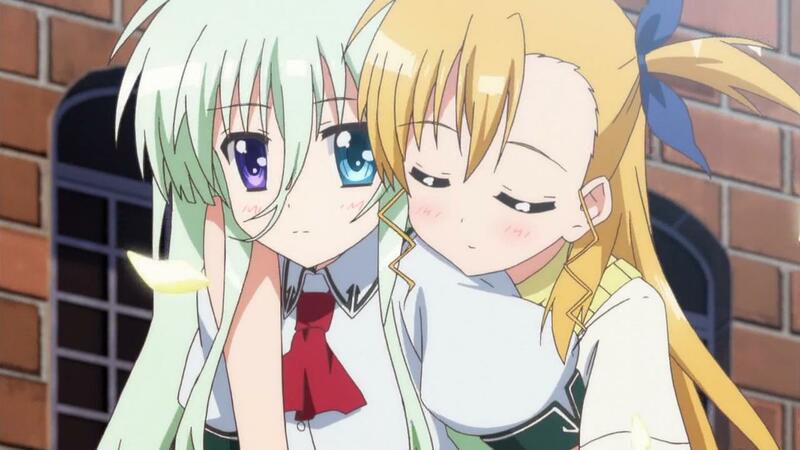 However, Einhart now respects Vivio and although Vivio is still unconscious, Einhart reintroduces herself to Vivio. Nove suggests Einhart do this when Vivio wakes up, but Einhart is too embarrassed to do so, but she carries Vivio home. I don’t know why, but the shounen elements of this seinen series are really amusing me with both Vivio and Einhart wanting to fight. As expected, Magical Girl Lyrical Nanoha ViVid proceeds at a slow but steady pace. One of the things I’ve appreciated about previous series in this franchise is how time is taken to get to know the characters, and that’s certainly going on here. I’m really liking Vivio as a character. 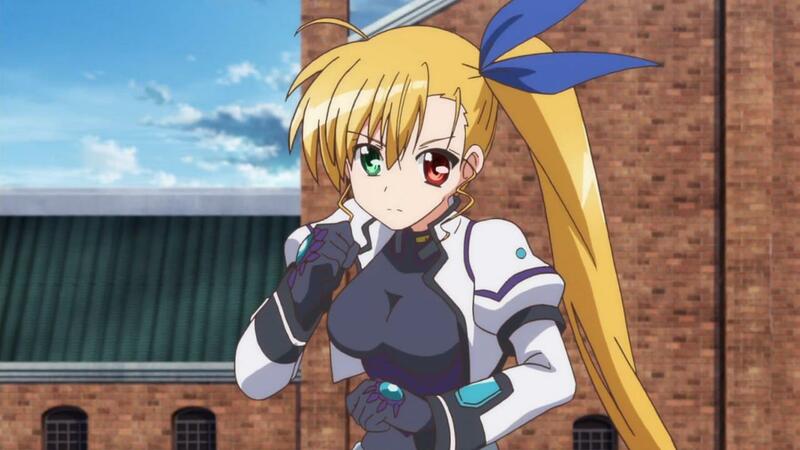 I don’t remember a ton about her from StrikerS, other than she was found and adopted by Nanoha, and she served some purpose at the end of that series. (I haven’t watched it in years.) She seemed more shy in my memories (I could be wrong about that), so I’m liking this outgoing, spunky young girl who enjoys hard work and hard study. We’ve already started seeing Einhart warm up to Vivio somewhat, which is also not unexpected. 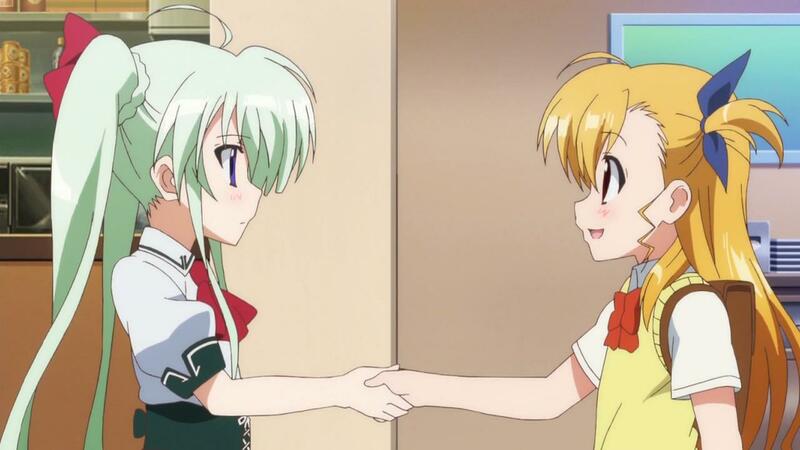 Einhart will no doubt become one of Vivio’s best friends. What I can’t see at this point is a bigger picture. I can’t see how Einhart’s genetic memories will come into play yet. 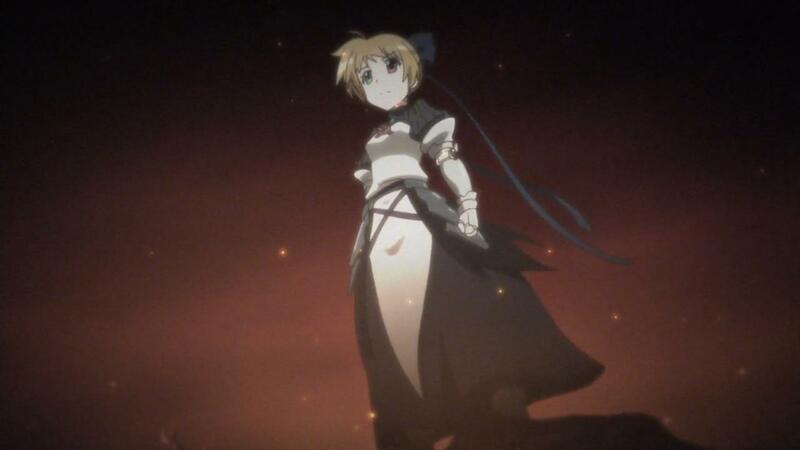 I can easily imagine cliched events, based on previous Nanoha series, but we’ll just have to wait and see. Still, showing that Vivio is a very hard trainer, combined with her pretty good fighting abilities (despite losing twice) is setting her up to show she will hang in combat when the real deal hits the fan. So while there’s not a lot to talk about, I still enjoyed this episode a lot. If there is a bigger picture, it’s two fold. 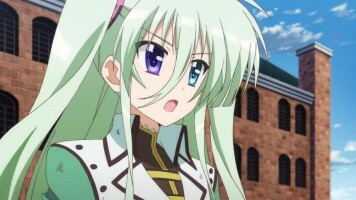 One – the idea that there are many descendants of Belkan Aristocracy with access to their Ancestor’s magics, or Genetic Memory of their Ancestors, or both – Einhart isn’t completely unique. Two – Magical Girl Combat, as a formal , very popular Sport played by both children and teenagers – with their own rules, Tournaments, and Stars. 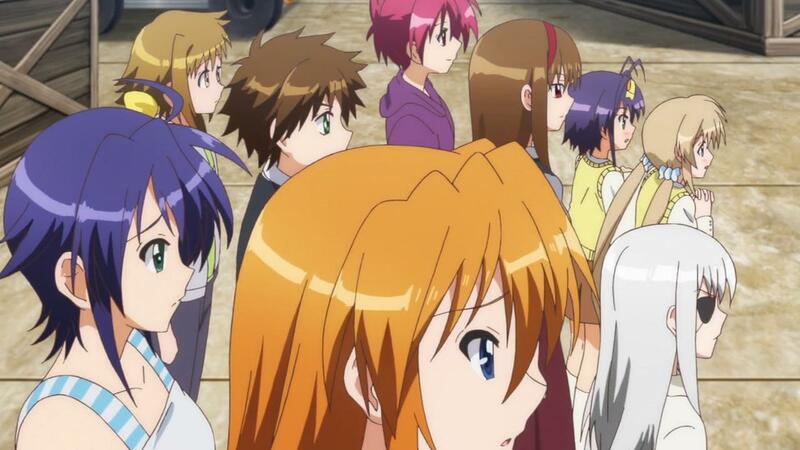 Nanoha Vivid has as little of a big picture, as a Slice of Life anime, or at best, a Sports anime usually has – so I’d recommend that you calibrate your expectations accordingly to avoid disappointment. Slice of Life – with superhuman martial arts and beam spam rainbows, and young children with magics that in another era centuries ago, were meant to annihilate armies. Nanoha Vivid has as little of a big picture, as a Slice of Life anime, or at best, a Sports anime usually has – so I’d recommend that you calibrate your expectations accordingly to avoid disappointment. I’m actually fine with that. I’ve not read the manga, and the previous anime series were anime original stories, not adaptations. So not having some big villain or the like doesn’t trouble me. However, keep in mind VIvid is an ongoing Manga, and not a finished series. Yeah, I saw that. Kinda like A Certain Scientific Railgun, who’s manga is still going on slowly (monthly). Speaking of Railgun, I can’t wait to see your next Railgun volume review since Volume 10 came out 2 days ago…mainly because I want to see how you end up reacting to a certain…few things in the volume. Not gonna say any more since I don’t wanna spoil the fun.